Bottom station with the Back bowls behind. 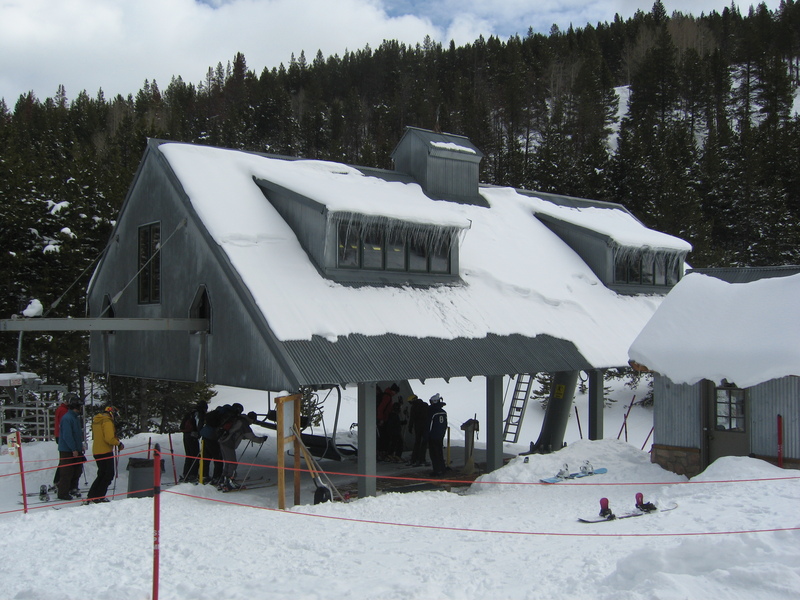 Another terminal custom-designed for Blue Sky Basin. View up from the base. Top drive station and tower 17. Side view of the summit. When were these pictures taken? These photos are from 2007. Arguably nothing has changed about the lift since then. 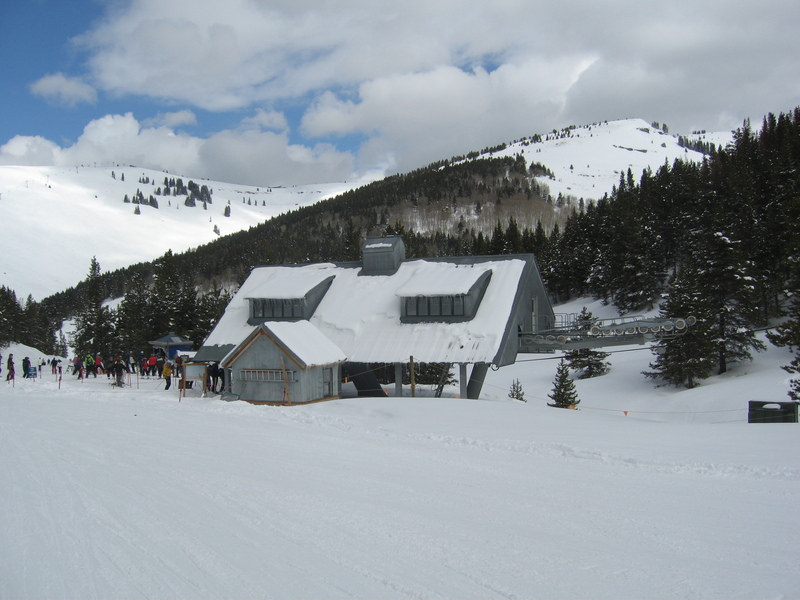 Blue Sky Basin has stayed relatively untouched. The only real difference, if you can call it that, is that the Pete’s Express received those plastic map displays in 2014 (as did the Orient Express lift and a few others). Interestingly, the Skyline Express didn’t get those displays (despite being the sole way into Blue Sky Basin). 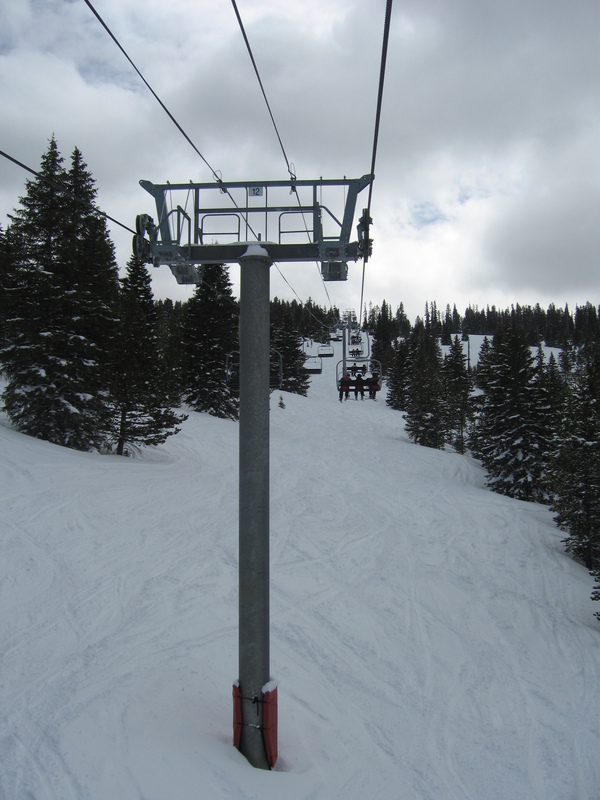 And another slight difference would be the EpicMix readers being added to all lifts in 2010. 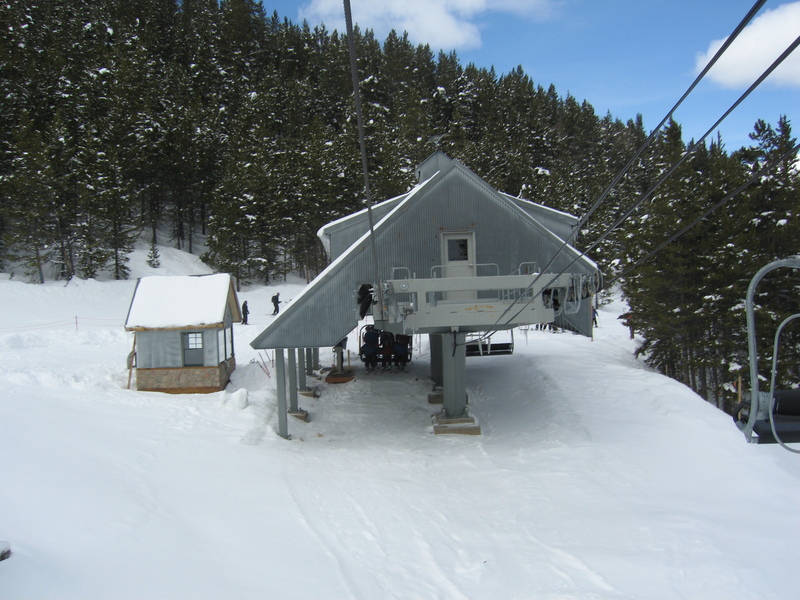 This is Vail’s highest chairlift, offloading at 11,570 feet. Much like its older brother the Earl’s Express, this is a low capacity high speed quad, with just 1,800 pph, which is a higher capacity than the Earl’s Express (1,200 pph) but still less than the Skyline Express (2,400 pph).